Friends of City Hall held its first public meeting on May 17, 2011. Fifteen individuals and one civic organization signed up to be members and paid their annual dues. It was agreed that all who join the organization between now and September 30, 2011 shall be known as Founding Members and be so designated on membership cards and other documents. Officers and Board Members were elected and a series of long and short term objectives were discussed and agreed to. The central purpose of "Friends" is the restoration and preservation of the Marine City Historic City Hall. 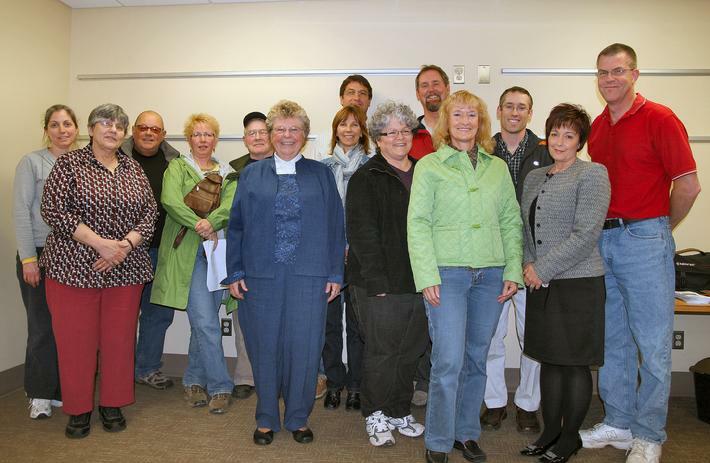 Founding Members from the first meeting of Friends of City Hall, May 17, 2011.